It’s one thing to suffer an accident that results in bruises and cuts that heal in a few weeks. It’s another when a serious accident or act of negligence means that the life you had before the accident has been altered forever. Some circumstances, like an auto accident or an act of malpractice, can leave a person hospitalized for life, requiring around-the-clock medical care. Victims of catastrophic injuries may never walk again, may never be able to talk or communicate properly, or suffer constant pain. 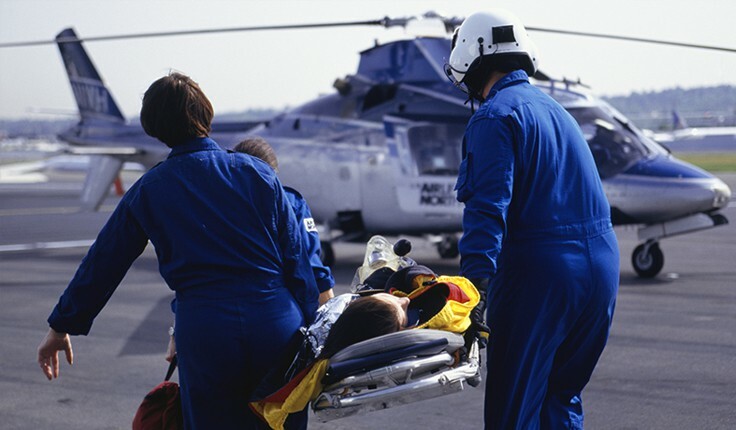 Permanent and serious injury victims often significantly lose their quality of life. At Yeboah Law Group, P.A., our Fort Lauderdale catastrophic injury attorneys fight to get victims compensation for each part of their life that has been altered. We demand payment for every surgery, every doctor visit, all medical devices, all medical prescription, physical therapy, and psychiatric counseling. For more than 20 years, our South Florida catastrophic injury attorneys have been trying cases before juries in state and federal courts. We only recommend settlement when all medical bills and all lost wages are covered, and the daily pain and emotional suffering is properly determined. Otherwise, we are ready to go to trial. Any parent, spouse, child, or relative who gets the call that a loved one is in the emergency room or has been admitted to surgery shares the same worries: will the victim ever get better? Who will take care of him? How much is he/she hurting? They’re anxious at the escalating costs. Sometimes injuries to the brain or other internal body parts may not show right away — but when they do, coping and living with the injuries can be devastating. Traumatic brain injuries (“TBI”). These wounds are often caused by a violent blow or shaking of the head. A severe TBI can cause the inability to speak, impairment of bodily functions, sexual complications, and other long-term problems. Spinal cord injuries. These injuries can cause partial or complete paralysis, leaving the victim a quadriplegic or a paraplegic. Victims usually suffer nerve damage and chronic pain even with injections and other medical treatments. Loss of limb.In the best of cases, a loss or amputation of a leg, foot, arm, hand, finger, or toe requires surgery and/or the permanent use of prosthetic devices. Sometimes the devices don’t work. Patients who lose a limb suffer a great deal of emotional pain along with the physical pain. Our South Florida catastrophic injury lawyers detail each type of pain, each loss of bodily function, every moment of depression and hopelessness. We demand wrongdoers be held accountable for life-changing negligence or wrongful conduct. Focusing on the medical and emotional harm is only one part of the case. When auto owners, manufacturers, hospitals, and others are sued for causing catastrophic injuries, they will fight tooth and nail to contest their liability and to minimize the amount of the damage. Our lawyers have first-hand experience in the strategies defense lawyers and insurance companies use to get out of trying to pay you. Through thorough preparation, a complete understanding of the law, and our first-rate ability to persuade and advocate, our legal team is more than ready to meet the challenge of presenting the strongest case possible. We also handle catastrophic injuries caused by drunk drivers, property owners, dogs, boats, and others. If someone in your family is suffering for any reason, they need legal help as well as medical help. A Fort Lauderdale catastrophic injury lawyer answers your questions, helps to calm your fears, explains the litigation process, and mostly speaks for you so you can help your loved one. Clients and other lawyers recommend Yeboah Law Group because of our track record of success and our compassion for victims of tragedies. We take catastrophic injury cases on a contingency fee basis. To talk to a caring personal injury lawyer in Fort Lauderdale today, please call 1-800-TELL-SAM or fill out our contact form to schedule a free consultation. We have 3 other locations in Miami, Boca Raton & Key West, FL.